In its present sampling-rate format, the CD strikes me primarily as a convenience medium, akin to the analog cassette tape. Open-reel tape was recognized as a sonically superior medium at the time, but those cassettes were "oh so cute" and much easier to manage—especially in the car. From my perspective, audiophile labels (if not the mass-market-oriented major labels) will continue to offer vinyl for a long time to come. The demand will be there: as an owner of a topnotch phono system, I can continue to outperform the CD for a long time to come. The current trend to digitally remaster old classics for reissue on CD is particularly tragic. The major labels are sitting on a treasury of old analog master tapes. From what I hear, these tapes are not benefiting from digital remastering; instead, more vinyl pressings would be welcome. Let me give you a recent example. I was recently given a copy of Rossini's The Barber of Seville—a "highlights" LP released in this country on Angel 35963. 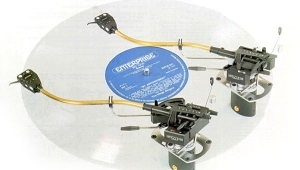 The analog master was digitally remastered by EMI in 1986 and released on CD. The performance dates back to 1957 and was recorded at London's Kingsway Hall. Arguably, this is this Opera's finest hour: Maria Callas as Rosina and Tito Gobbi as Figaro are in superb form, giving rich and inspired interpretations of these roles. Owning a copy of the CD, I decided to carefully compare it to the LP. The bad news was that the LP had apparently been played with a rusty nail. The surface noise was intolerable, and there was groove damage audible during peak modulations. Yet, despite it all, Gobbi's and Callas's voices shone with a fiery intensity and sense of drama that was completely missing on the CD. By comparison, the CD sounded sanitized, devoid of the intensity so easily captured on vinyl. Not only that, the sense of focus and soundstage transparency was also heightened on the LP. So much for digital remastering. I would gladly trade this CD plus hard-earned cash for a mint copy of the LP (or, better yet, the complete 3-LP set). 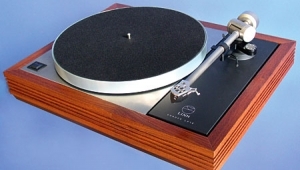 Please write me care of Stereophile. To fully understand what the Graham Model 1.5 arm is all about, one has to start with the sparkle of inspiration in Bob Graham's mind. It's next to impossible not to like Bob. His friendly demeanor puts one at ease, and his care and love for the analog art bubble forth. His design philosophy is fully accessible to open discussion. There is no mysticism or classified industrial secrets to get in the way. The 1.5 is a distillation of the best design ideas the art has produced over the years, executed with care and engineering precision. 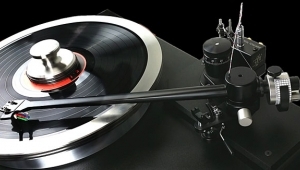 Of course, there are some new wrinkles here, covered by no less than two US patents, but the foundation is sound engineering practice aimed at providing the most perfect operating platform for a phono cartridge achievable at the current state of the art. 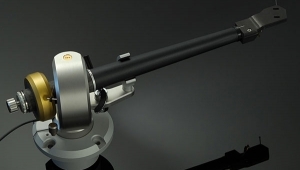 The basic design was refined over a period of several years to yield what is now, in my estimation, the finest tonearm money can buy. 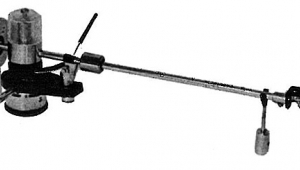 The role of the tonearm has been compared to that of the enclosure in a loudspeaker. In this analogy, think of the bass driver as representing the cartridge. The first important point is that it is impossible to assess the driver's performance without considering its interaction with the cabinet. 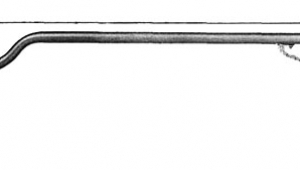 The cartridge/arm combination should be viewed in the same light. 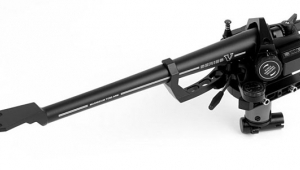 The arm's effective mass should be compatible with the cartridge compliance to produce an optimal low-frequency resonance. Just as enclosure wall flexure and resonances may color a speaker's reproduction, so can arm resonances influence the overall frequency-response and time-domain behavior. 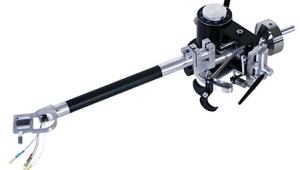 Arm resonances, both lateral and torsional, should be minimal and well-damped. 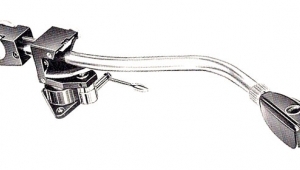 From the perspective of the cartridge, the arm is essentially a "monkey on the back." 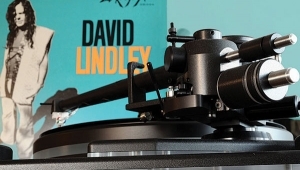 As the stylus negotiates delicate groove modulations, the cartridge has to literally drag this monkey, kicking and screaming, down the groove spiral. 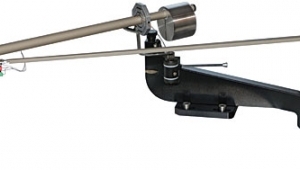 Bearing friction at the arm pivot, sufficient to impede the motion of the cartridge, gives rise to distortion because frictional forces along the groove wall increase as a result. 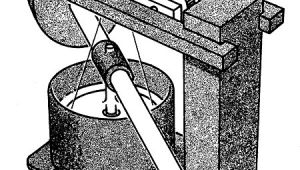 Thus, low bearing friction is an automatic prerequisite for a good arm. For a magnetic, velocity-characteristic cartridge, the differential velocity between the stylus and cartridge body gives rise to the output signal. Should the arm rattle the cartridge, the signal's amplitude and the system's frequency response will both be affected. This can happen when the arm bearings are loose and "chatter." 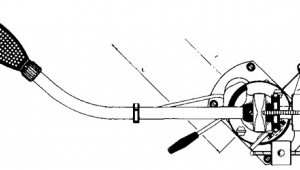 Unfortunately, for conventional bearings of the gimbal or ball-race design, the requirements for low friction and tightness (no chatter) are contradictory; some compromise must be struck between the two. In other words, the tighter the bearings, the greater the friction.